You have that special event or party on your calendar and the day is fast approaching. All the elements are coming together to ensure your event is a successful one. However, there’s one vital aspect you must address to ensure things truly do run just right: the event security concerns and the right number of security guards you need for crowd control. How many security guards do I need for my party? What security to guest ratio is right for your event? Before I share recommendations for different event sizes, let’s look at some fundamental attributes you need from security guard services. Choose a company that has a current Master Security Licence and only employs fully qualified and licensed Security Officers. Additionally, check that a security guard has other necessary certification, such as a First Aid Certificate. This provides the best level of protection suitable for a variety of circumstances. Choose a security company that has a history of serving your region with exceptional and dependable guards. These guards would understand the unique concerns particular to that locale. A security officer familiar with your area handles a situation based on knowledge of the environment and its people. Choose a Sydney security company that has experience providing security guards to homes, businesses, and government. This well-rounded approach to security provides you with premium protection capable of handling many different kinds of events or parties. Choose a company that doesn’t force you to sign a long-term contract. Locking yourself into a contract with a security company that doesn’t perform to your expectations is the last thing you want. A reputable security firm charges you a reasonable fee for their service. You choose how long you use their guards, and pay only for that time. Choose a company that can handle all of your security needs. Make them your one-stop shop for whatever assets you need to protect. A good, well-rounded security service will offer security guards, but will also provide alarm responses, home alarm installation and business security system installation. They should additionally offer CCTV security camera installation and monitoring, access control, alarm servicing, and more. PART II: HOW MANY EVENT SECURITY GUARDS DO I NEED? The next thing to consider is the size of your event or party. How many security guards you need for crowd control depends on your venue size and the number of people attending. Having one guard per 100 people at your party or event is a general rule to meet your needs. This rule can help you plan and budget your security accordingly. Seek counsel from a security company experienced in both small-to-medium sized and large-scale events. They give good advice, based on their experience, on the correct number of security guards for your event size. Smaller events do not necessarily mean fewer security personnel. Small to medium-sized events held outdoors over a wide area might require several guards. This is to control entry and exit in numerous spots. Such an event in a larger room with many points of entry may require the same. An event can easily become difficult to control if a room is too small and becomes overcrowded. There’s also the chance more guests may show up than originally planned. This can happen when you have no pre-determined guest list. If the event is open to everyone or is vulnerable to “party crashers”, you may require professional security guards experienced in those situations. For crowd control at larger events or parties, you will definitely need significant event security. No matter the size of the venue, there’s always the risk a large crowd can get out of control. You don’t want an understaffed event from a security standpoint. You can run into legal issues by not having sufficient security, especially if someone becomes injured. Knowing the scope of your event, a security company offers guidance on what type of guard is compatible. A high profile event, with high-value assets on display and VIP’s, may require visible armed personnel. A low-key event with no expensive assets in the space and fewer guests may require only an unarmed security guard presence. Events, where alcohol is served in a festive, high-energy atmosphere, may require event security guards stationed amongst a crowd. This is to spot volatile situations quickly and defuse them. Events and parties of a more subdued nature often mean security officers stationed solely at entrances will be suitable, especially when there exist only a few points of entry. Uniformed security guards are appropriate where an open show of authority is desirable. Sometimes you need to make it obvious to event-goers that inappropriate behaviour will receive a swift response. Meanwhile, plain clothes event security is often advisable for situations where a uniform may cast too harsh a presence over a dignified event. 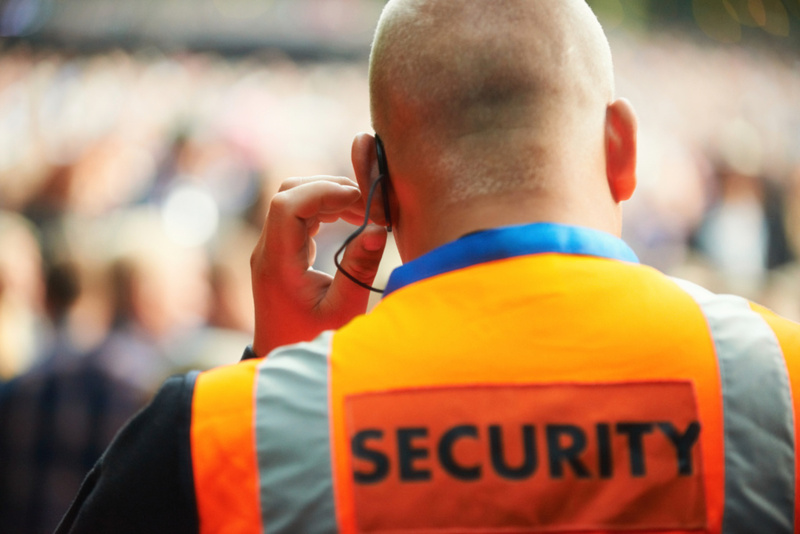 Consider the above points when it comes to hiring quality event security guards for your next event or party. By doing so, you will ensure your guests receive quality, effective protection and you will also enhance your integrity as an event facilitator at the same time. The choice of the right security company and the right number of security guards is crucial to protecting the investment you have in your event. Contact the team at Citiguard for security guards Sydney businesses and event managers can rely on.